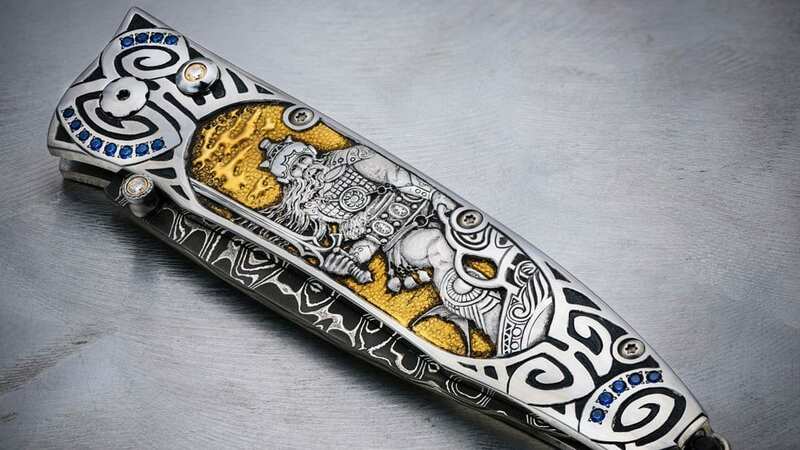 The late American artist Frank Frazetta was a pioneer of fantasy and science fiction art, his vivid creations gracing the covers of books, comic books, music albums and many other things. 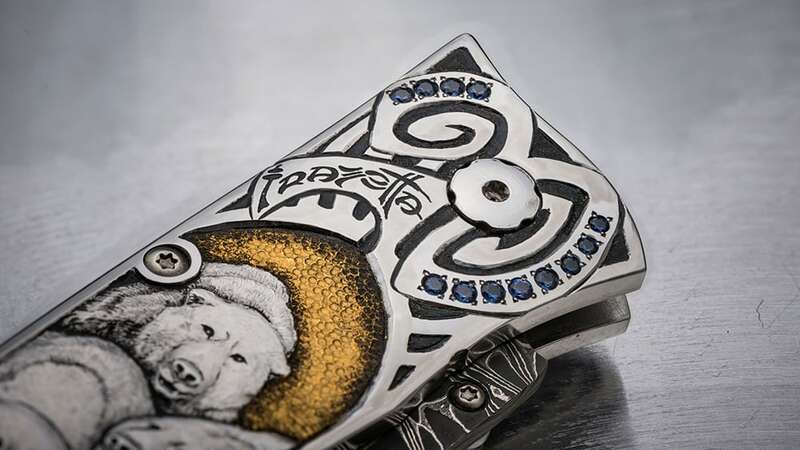 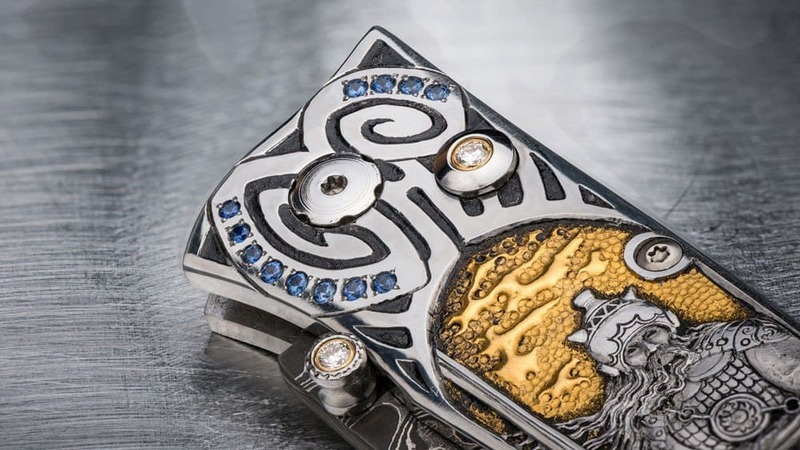 In honor of his genius and incredible work, the Oregon-based men’s accessories brand William Henry has introduced the stunning Silver Warrior collection. 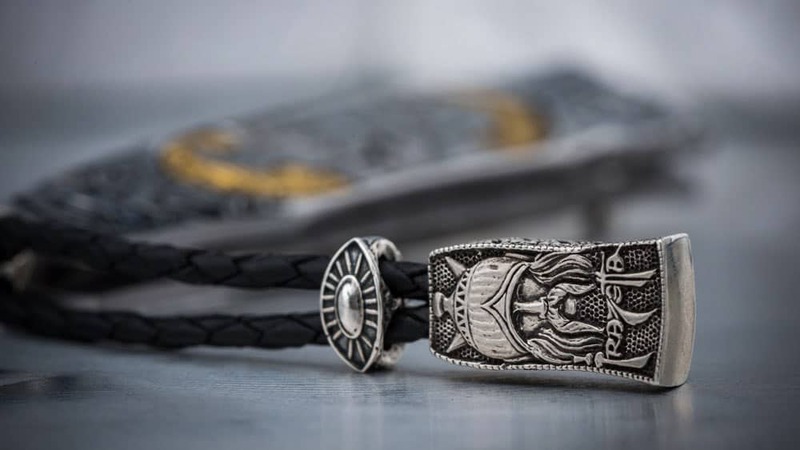 Inspired by the artist’s 1972 Silver Warrior painting, depicting a sword-wielding warrior atop a sled being pulled through a snowy landscape, this incredible collection includes bracelets, pendants, necklaces, a ring, a miniature pocket knife, and even a key fob. 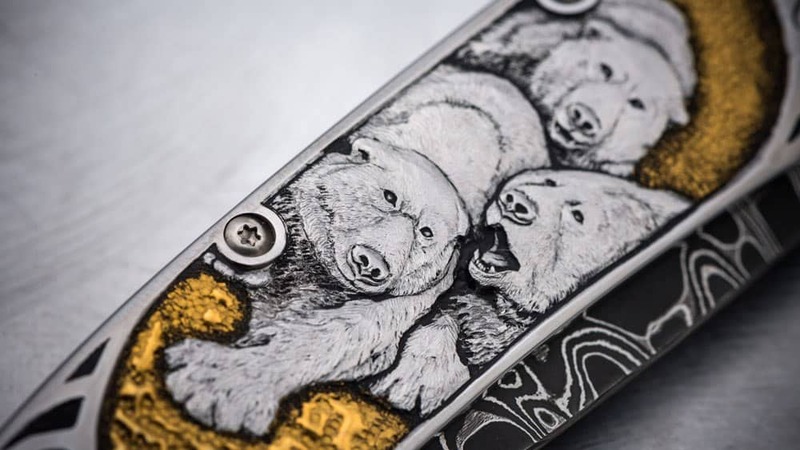 The Gentac Silver Warrior manages to stand out easily from this collection, a unique pocket knife set to cost as much as $75,000. 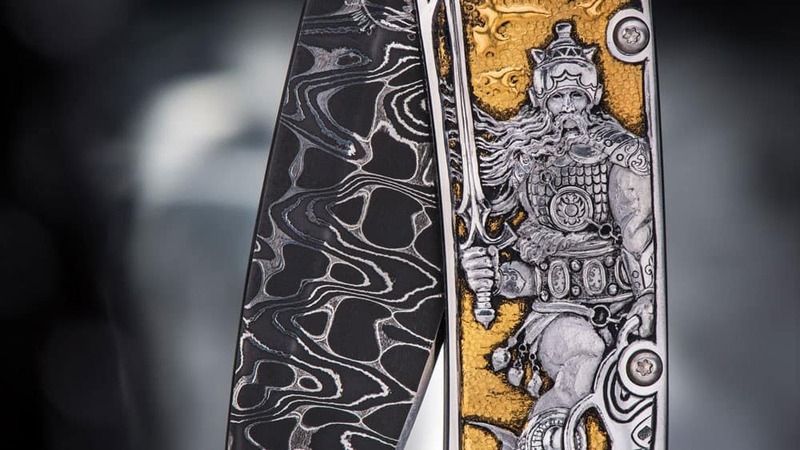 Showing off Frazetta’s Silver Warrior, this extraordinary folding pocket knife has been hand-engraved and decked with inlaid sapphires and 24-karat gold. 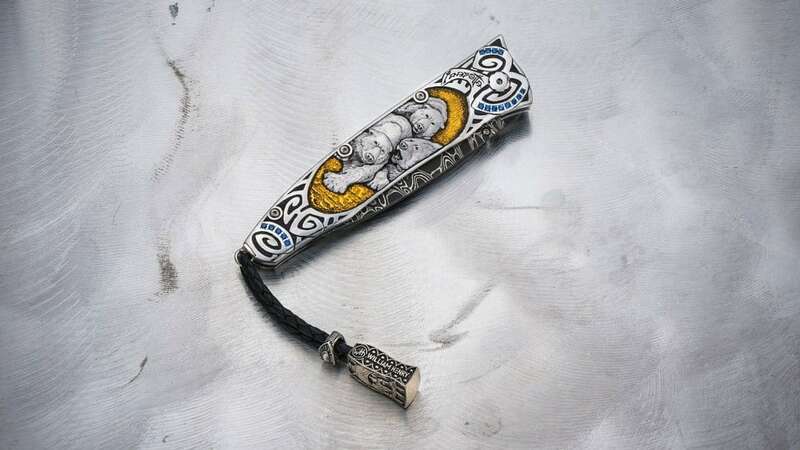 A leather cord runs from the knife to a small, four-sided silver pendant that also features engravings of the aforementioned warrior. 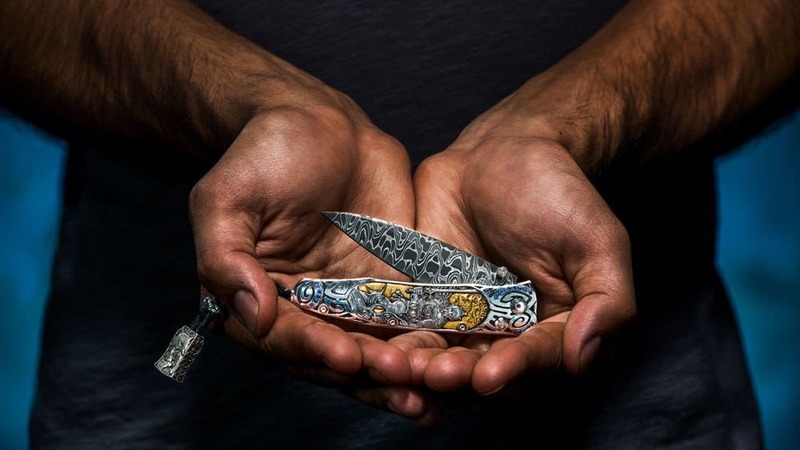 Constructed from hand-forged stainless Damascus steel, known for its strength and wonderfully distinct pattern, William Henry’s latest creation also shows off incredible artistry on its blade, which takes the craft far beyond any expectations. 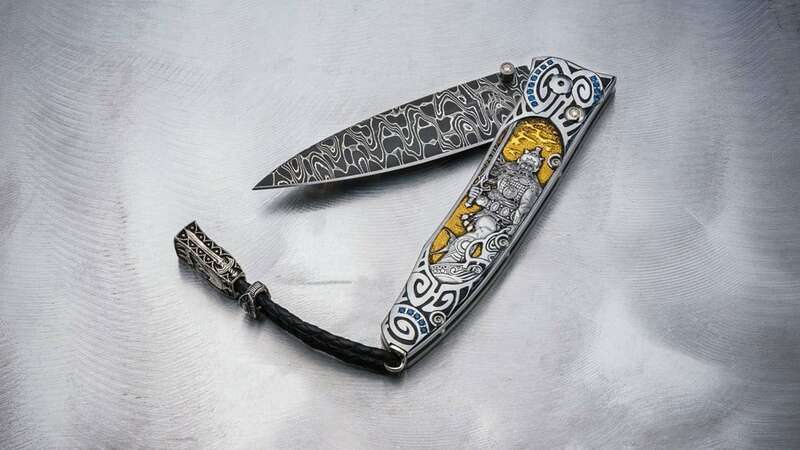 As stunning as it is, the Gentac Silver Warrior is complemented by a leather carrying case and a superb wooden presentation box.